If you’re a gamer who lives for arena life, having a really good keyboard is crucial for getting those oh so sweet Pentakills. Just as any painter wouldn’t dare start on a work of art without a brush or a doctor wouldn’t go into the operation room without his tools, a serious gamer wouldn’t dare be caught without a superb mechanical keyboard. 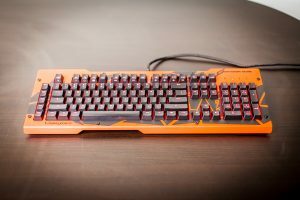 Just what is it that makes a good gaming keyboard for MOBA games? A good keyboard will provide its user with pretty high quality audio and tactile feedback. When you’re in the middle of a clash, you don’t have the luxury of having to look down on your fingers and board to see if you effectively pressed down on a tile. A good mechanical keyboard will never leave you hanging. 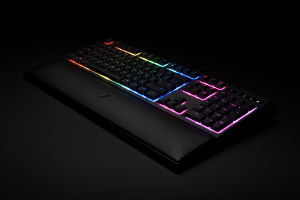 It will give off the sweet crunch as soon as a tile is pressed–giving any gamer the assurance that they’ve actually activated a Q, W, or even the all important R.
A good gaming keyboard will have built-in lighting. It’s human nature to want to glance down at times and it can get pretty dark down there so having your keyboard all lit up leaves little room for mistakes and can save you precious seconds you might spend second guessing yourself. 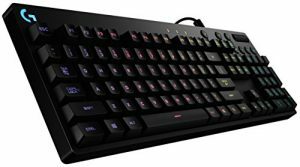 So what are the best gaming keyboards to date? At $80, this makes the Ornata a pretty friendly introduction into the world of mechanical keyboards. It’s features shorter keys and a loud audible click so it makes sure its user is well informed of where their fingers are and that an action has just been done. The Ornata boasts of keys whose backlight can be fully customized. It also comes with a plush pleather wrist rest so not only does it have your back in-game, it also give you comfort outside of the game. Clocking it at $170, it can be a bit intimidating but don’t let the price scare you. 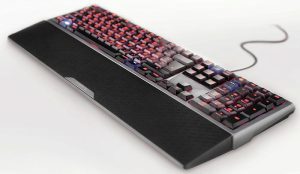 What you have here is a pretty versatile metal gaming keyboard. The keys are programmable so if you’re a gamer that has your own set of actions, this is a pretty good fit for you. The backlight isn’t limited to a few colors. It run up to 16.8 million colors so you’ll have your pick of the litter and really make that keyboard your own. A bit pricier at $173, Cherry’s flagship MX Board 6.0 is built to deliver a beautiful gaming experience. Its low profile and closer keys make for a faster response time and is pretty efficient when it comes to typing. The aluminum s=housing and sanded finish makes it pretty resistant to grime which is ideal when you’re a low-maintenance gamer. The keyboard has lighting and the keys are programmable as well. The keys are highly responsive and pretty comfortable for long periods of typing. So spamming the world chat with “GG GET REKT” is no problem. 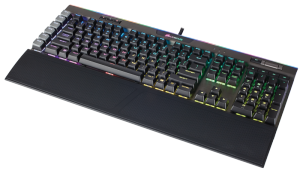 For the minimalist gamer, the G810 has a snappier feel than the previous Orion Spark G910. Coming in at $115, it’s a friendly price for a sleek style that features smart media keys that partner really well with both Windows and OS X. The interface is wired. 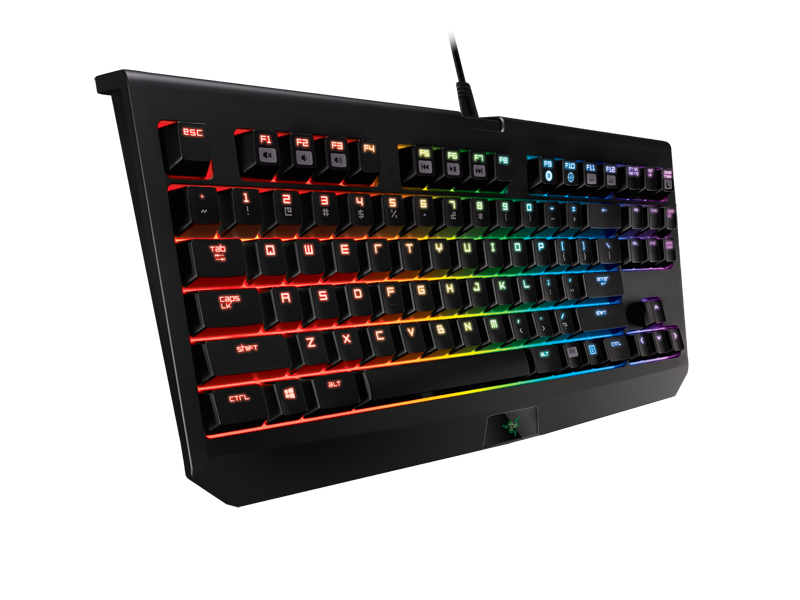 It has backlighting and has programmable keys–ultimately being a no nonsense gamer fit. At $126, this mechanical keyboard boasts a standard 104-key US layout and even has five programmable macro keys. It’s just a little odd that the keys are laid out vertically on the far left. It may take some getting used to. This keyboard has media controls–has buttons setup for sleep, brightness adjustment, etc. So everything you need is there. All the keys are backlit with an eye-catching red with five levels of brightness.